​"Dealing with arrogant difficult people just got easier after reading this book. Read and grow wise!" You may not have heard the term, but if you have experienced an on-again/off-again roller coaster relationship. you have been Hoovered at least once. 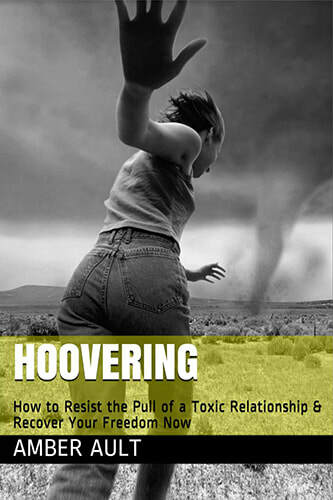 This small book, which you can read in the time you would devote to a psychotherapy session, spells out what Hoovering is, how it works to keep you stuck in a toxic relationship, and what you can do to make yourself "Hoover-immune." You'll learn about classic Hoover maneuvers and about the principles and strategies you can adopt to help you become Un-Hooverable. This book is a legitimate eye opener. Illuminating during the moments of self doubt and reviewing past situations. Thank you! This is an excellent book to help explain the behavior of narcissist. The author is an expert in this field....and helps explain to those in these type of relationships that we are not crazy or "losing it".....and that help is available.